Global spending on solar energy declined by almost a quarter last year to US$130.8 billion, mainly on the back of a regulatory policy overhaul in China that led to an oversupply of solar panels, driving prices down. 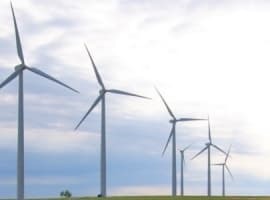 This, in turn, resulted in an 8-percent slide in overall renewable energy investments to US$332 billion, data from a new report by Bloomberg New Energy Finance has shown. 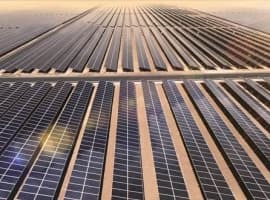 China took markets by surprise in June last year by announcing that it would not issue approvals for any new solar power installations in 2018 and would also cut the feed-in tariff subsidy that has been a major driver of the solar business in the country that accounts for as much as 50 percent of capacity. Following the June decision of the Chinese planning commission, global PV panel prices dropped by 12 percent, which benefited buyers of PV panels but served a blow to producers, and not just those in China. Yet, the investment cut was the largest in China: investments in renewable energy there fell by about 50 percent or US$40 billion last year. This had a beneficial effect on capital costs, the BNEF analysts said. In 2018, the cost of installing a megawatt of solar generation capacity shed 12 percent. 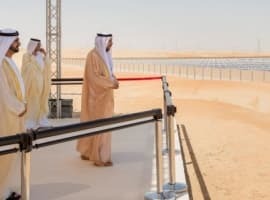 Now, this was not because of major cost reductions as much as a global PV module oversupply that was already emerging before China overhauled its solar industry regulations, but it was still substantial as far as cost cuts go. This year promises to be tough as well, at least in China. Earlier this month, the government said it will only approve new solar and wind power capacity if it matches the country’s coal benchmark on price. One of the reasons for this move is the weight of subsidies that prompted last year’s regulatory change. Another, according to Forbes’ John Parnell, was the fact that Chinese companies are building solar projects abroad that produce electricity much more cheaply than the installations at home. China is still the biggest spender on renewables, the BNEF report established, so it will remain key to the world’s total carbon emission reduction success, regardless of where capital costs of solar installations go. Is Solar Growth Really Lagging? Solar panels are more expensive than coal fired electricity. Solar panels do not provide carbon dioxide fertilizer to agriculture. Solar panels must be replaced every twenty years. Hundreds of years of coal are in the ground.